Location: Aurillac, in the Cantal departement of France (Auvergne Region). Ownership / Access: Owned by the Municipality of Aurillac and it is now a Museum of volcanoes: Open to the public. 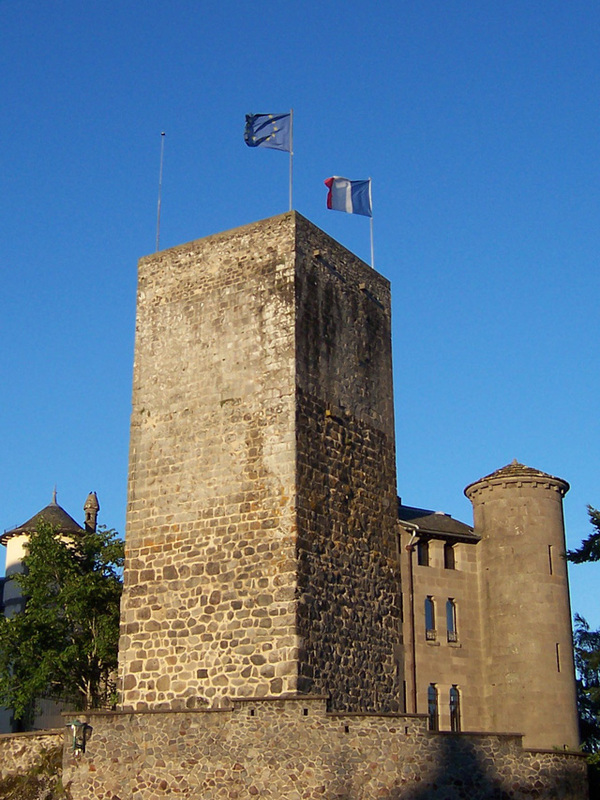 Notes: Château Saint-Étienne is a medieval castle located on the hill overlooking the town of Aurillac in the Cantal. Primitive castle of the father of Saint Geraud, it has an old square tower believed to be original and reconstructed a large building in the nineteenth century at the initiative of Louis-Furcy Grognier in the style of the Palace of the Popes in Avignon. Indeed, we rediscovered the local origin of the shepherd and Gerbert had just launched a municipal subscription to erect a statue to him. After being used by the bishop of Saint-Flour formers his school teachers, the same mayor decides to repurchase the town of Aurillac and entrust the Christian Brothers care to establish a school there normal teachers who remain in these locations until father Georges Pompidou. The House of volcanoes was installed in 1972 in the left wing of the castle by the town of Aurillac and the laboratory of Professor Brousse University of Paris-Sud. He has just received the mineralogical collections of the former Museum Jean-Baptiste Rames created in 1853 by H and Deparieu.